Shimla: Two premier hospitals in Himachal Pradesh conducted 32 elective surgeries on Sunday despite it being a holiday, Indira Gandhi Medical College senior medical superintendent Janak Raj said. 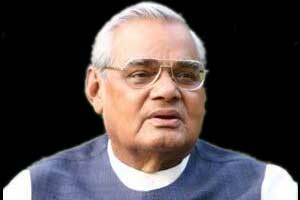 These surgeries were done on Sunday at Indira Gandhi Medical College and Hospital and Kamla Nehru Hospital in Shimla on Health Minister Vipin Singh Parmar’s direction to pay tribute to late prime minister Atal Bihari Vajpayee, Raj told PTI. IGMC and KNH observed holiday to join the moment of national bereavement on August 17 after Vajpayee’s death on August 16. The elective surgeries scheduled for August 17 at IGMC and KNH were postponed and, as per the minister’s direction, these surgeries were done on August 19, he said. A total of 32 surgeries were done at IGMC and KNH on Sunday in general public interest, he added. An elective procedure is one that is planned in advance, rather than one that is done in an emergency situation. OTHERWISE , THEY DON\’T DO ANY SURGERY ARE WHAT ??? IT SOUNDS SO STUPID . WHAT A CRAP ? IS IT TEACHING MEDICAL COLLEGE HOSPITAL OR A POLITICAL STAGE SET OF FOR THE ELECTION CAMPAIGN. THE SHOW MUST GO ON ….. IRRESPECTIVE OF SOME ONE WINS OR LOSES. ( Psychophans should stay away from the Medical profesion). By operating more number of cases on a holiday , there is going so many less number of cases on a subsequent day.